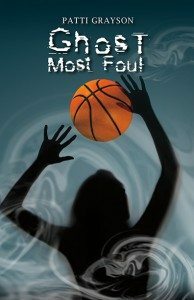 Manitoba author Patti Grayson (Core Samples; Autumn, One Spring) makes her children’s book debut with Ghost Most Foul, which focuses on Grade 8 basketball star Summer Widden. Shortly after being named captain of her team, Summer finds out her coach was a passenger on a plane that has disappeared, and is presumed dead. Following a seance with her teammates, Summer begins to see Coach Nola’s ghost during games. These appearances not only interfere with Summer’s ability to play, but also impinge upon her relationships with members of her team and family. With the help of her teammate Dodie, Summer decides to figure out exactly what Coach Nola is trying to tell her, in the hopes of putting an end to the spirit’s visits. Ghost Most Foul is an engaging, well-written story that will hold a reader’s attention without seeming either overbearing or bland. The reasons for Coach Nola’s postmortem presence are subtly hinted at throughout the book, creating a mystery readers will find themselves trying to decipher along with Summer and Dodie. The approach also allows Grayson to keep themes of bullying, teamwork, and unexpected friendships in the background until they are needed. At first glance the characters appear to be stereotypical caricatures. Summer is the basketball-loving jock who must lead the team to victory; Dodie is the outsider; Karmyn and Roxx, two other teammates, are the mean girl bullies. However, Grayson gives the characters more depth than implied by these labels, challenging the stereotypes though small details. For example, despite her status as an outcast, Dodie is the only team member Summer tells about Coach Nola’s appearances. This added layer of complexity, combined with cozy ghost story and mystery elements, form a narrative that middle-graders looking for a short, offbeat read will enjoy.